The holidays are a time to relax and rejuvenate, but how you slip into that mode is different for different folk. Some prefer the calmness and ease of a staycation with a lovely white Christmas to enjoy, while other want an unforgettable trip that leaves them with fond memories for a lifetime. Then there are us design aficionados, who start thinking about smart makeover and clever decorating changes that give our home a new look as we head into the New Year. It is our way of relaxing while putting that additional free time to good use. 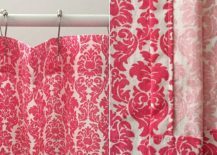 And having already started our budget bathroom makeovers series with DIY towel holders, today we explore the world of DIY shower curtains. 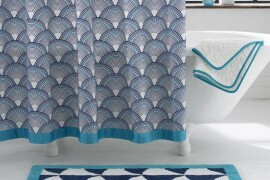 Feel a touch bored with all that white and gray in your bathroom? 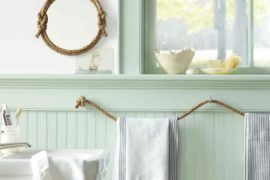 Sure, the spa-inspired look feels fine most of the time, but as winter rolls in, you might be yearning for some much needed color to enliven the bathroom. 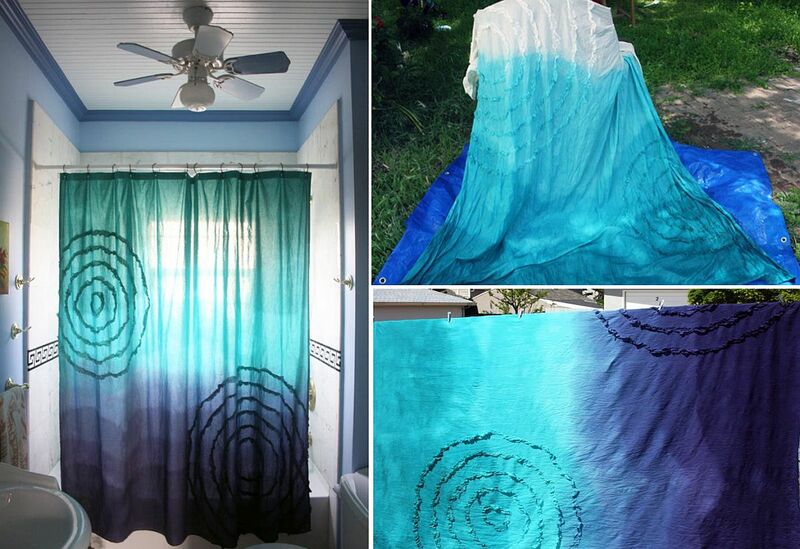 This is where a bright and beautiful DIY shower curtain comes in mighty handy. 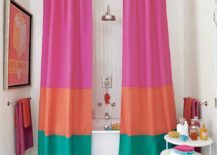 The gorgeous multi-colored shower curtain from Martha Stewart is a great start for crafters and it definitely steals the show with its bright pinks and trendy greens. 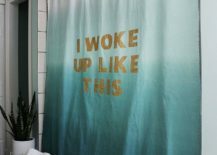 Throw in matching towels and maybe even window treatments and you have a curated modern bathroom that is also vivacious. 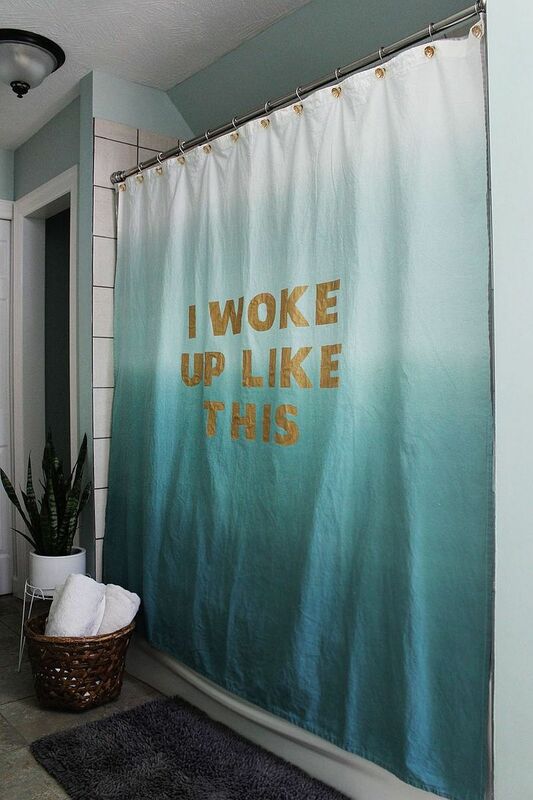 RELATED: Shower Curtains Made From Burlap, Silk And More! 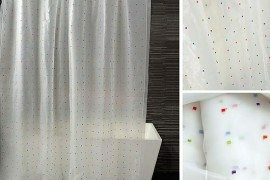 Once you have the fabric of your choice, then the homemade grommet-topped shower curtain is another cool idea that is easy to recreate. 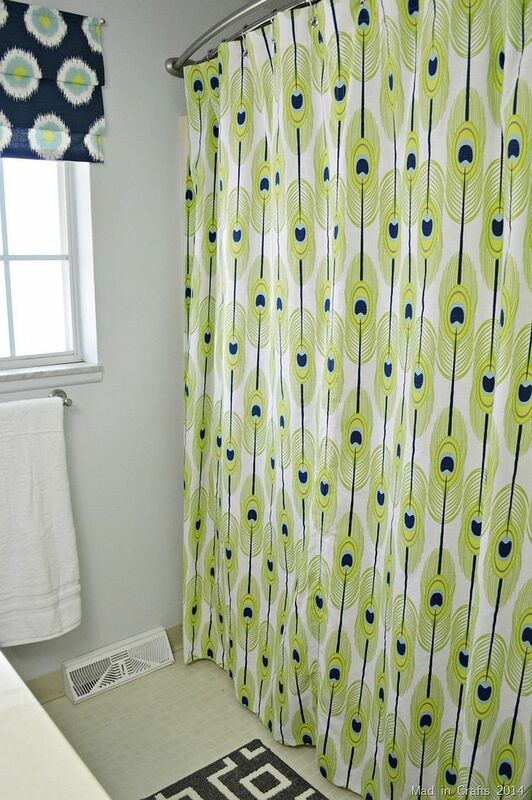 For those who love a more flowery pattern, the fabric shower curtain from Craftsy offers ample inspiration. 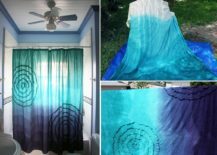 Finally there is the Dip Dyed Ombre Shower Curtain that you can try out in a color of your choice; it’s both trendy and unique! Not a big fan of color and pattern? 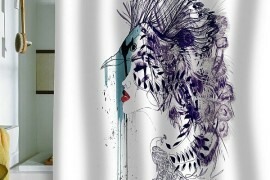 Still love the understated, neutral shower curtain that plays into the overall schematic of your relaxing bathroom? Not to worry as we have a few those as well and they do look absolutely elegant. 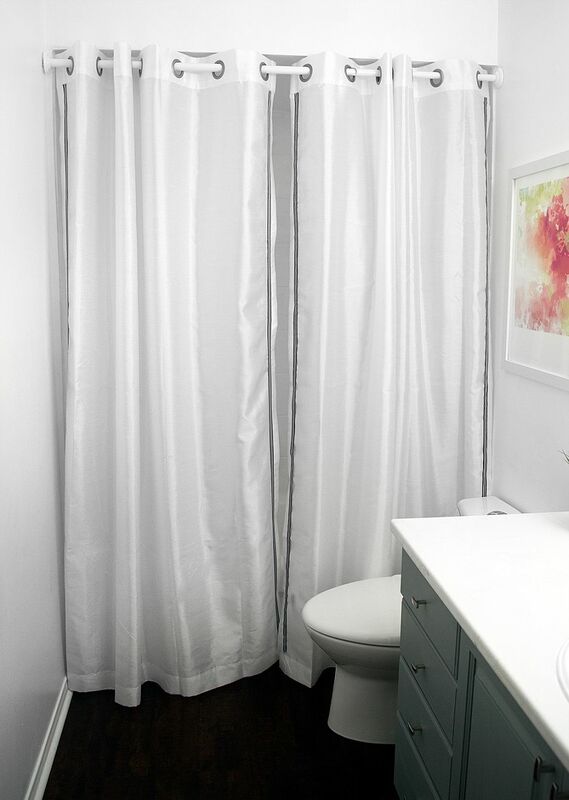 The Extra Long Shower Curtain is one of our favorite as it is simple to recreate, feels ever so classy and has a certain casual-chic appeal that feels right pretty much everywhere; even more so in bathrooms with a subtle feminine vibe! 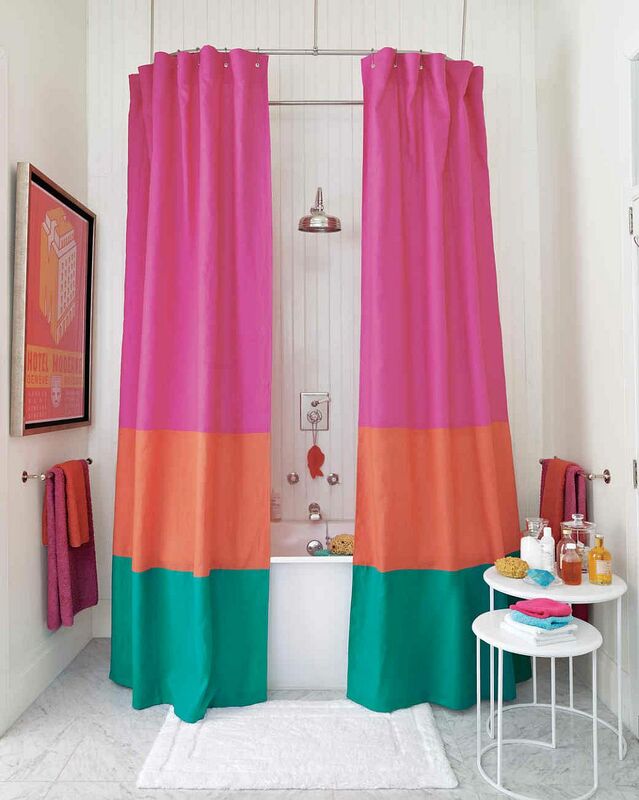 With the Statement DIY Shower Curtain things are a bit more fun and yet remain distinctly modern and curated. 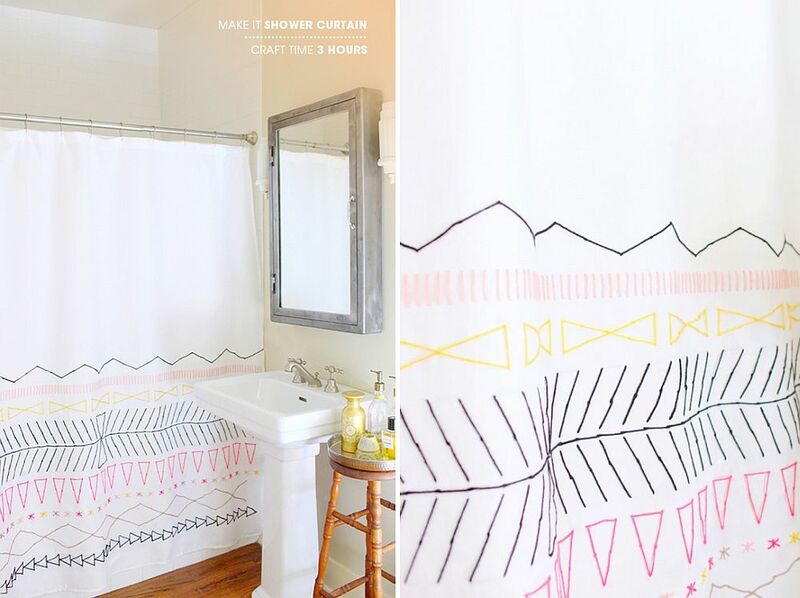 The No-Sew Shower Curtain idea from Stephanie White Travels feel just like a store-bought piece and can easily blend into any style that you have going in the bathroom. 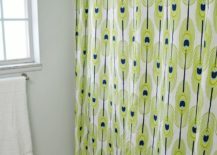 It is also a lot less work when compared with many other DIY bathroom ideas and is a project that even beginners can try out. 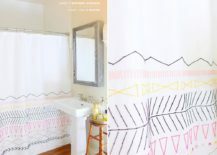 Time to introduce a bit of geometric pattern into the boring bathroom and a shower curtain offers a striking way to get this accomplished. 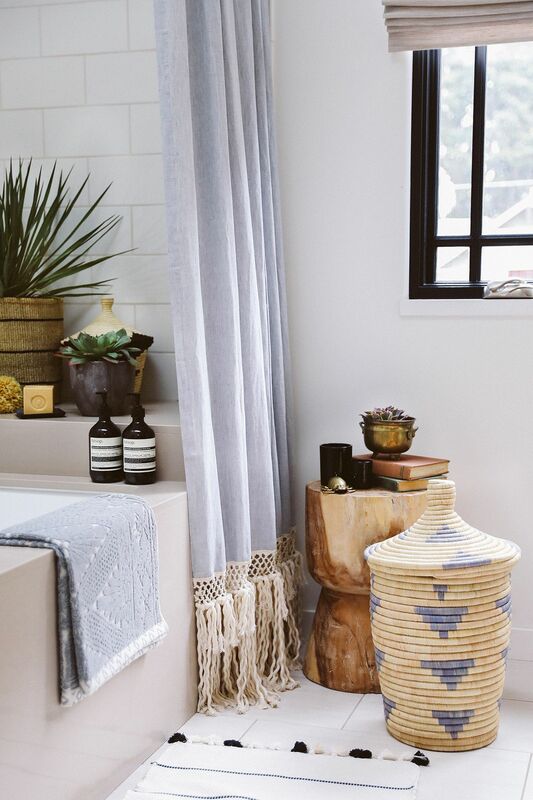 The hip idea from Design Love Fest is both trendy and exceptional ad adds pattern to the bathroom without ever moving away from the contemporary theme. 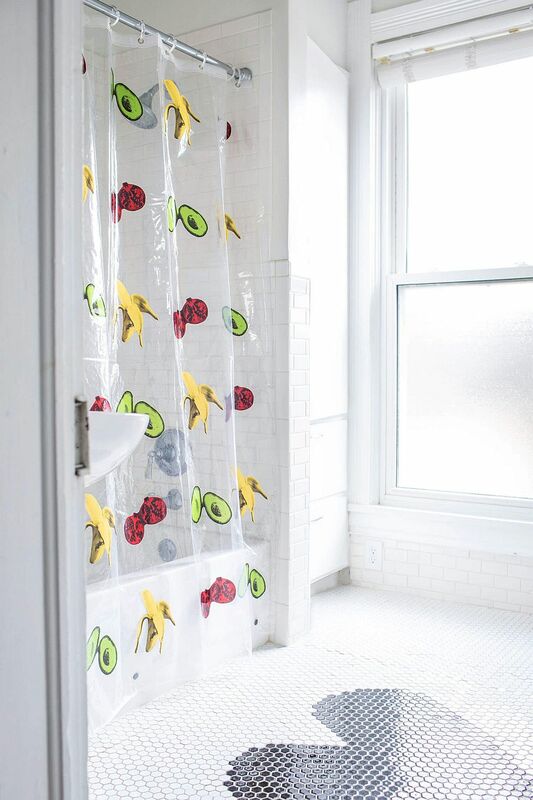 Waterproof vinyl is the canvas for some funky pattern in case of the DIY shower curtain from a beautiful mess while the Flower petal shower curtain stands on its own both in terms of sheer sophistication and delicate panache.